Microconsultants, located in Los Angeles County, has been a premiere provider of technology solutions for over 20 years. We support and service businesses, manufacturers, researchers, professional offices, educators, prosumers, and hobbyists. We have selected a popular 3D print to feature. Contact us to learn how to obtain your very own copy! We are your 3D Printing Experts. 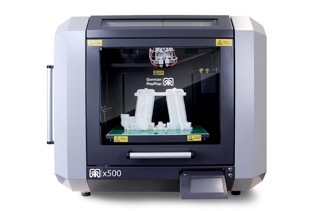 Over the years we have developed relationships with experts and vendors who are key leaders in 3D printing such as German RepRap, MAKEiT, MakerBot, Mcor Technologies, Shining 3D, Sindoh and others. We offer products, supplies, and parts to support all users of this powerful, rapidly growing technology. We have personal in-depth knowledge of printing applications and we welcome all inquiries. What does this mean to you? Unique skill set and capabilities allow flexibility to find practical solutions for our clients. It is our goal to provide continuous service and support for your technology needs. Beginning with assistance in choosing the most suitable 3D printer and suggested accessories, getting you started, and keeping you apprised of the latest innovations.